There are life changing moments, life changing experiences and life changing encounters… my time visiting Pigmy villages in the Congo was all of the above. 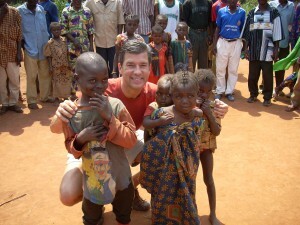 It’s experiences the one I had in the Congo that have the most lasting impact on our lives. near the edge of the Congo. 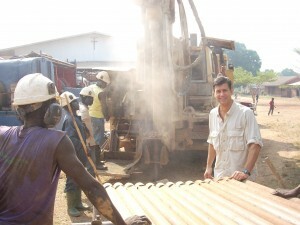 We helped dig community wells so the people there could get clean water. No one should have to watch their child die from preventable water borne diseases. ICDI helps communities begin to break the cycle of sickness and poverty by providing access to clean water. We met members of the community whose lives would be forever changed by something that we take for granted every day – water. I will carry their smiles, gratitude and resilience with me for the rest of my life. ICDI partners with Vision Trust to provide Orphan care services. Their orphan care services include medical checkups, nutritional checkups, support training for the family that’s caring for the orphan, as well as Biblical lessons, and optional vocational training in sewing and woodworking. The experience forever changed me when I saw the impact that such assistance could provide to a group of some of the poorest people in the world.